What a perfect afternoon for a bike ride! 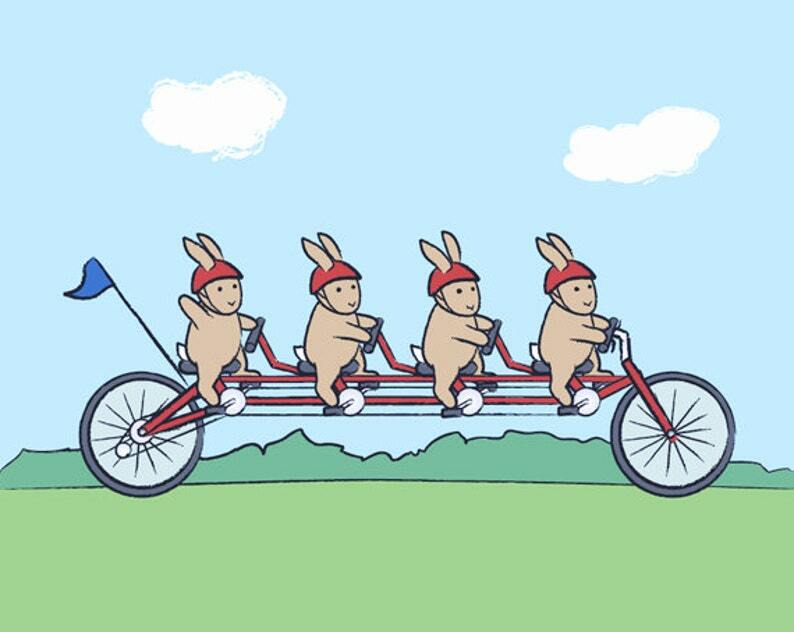 These little bunnies love riding their bicycle together. 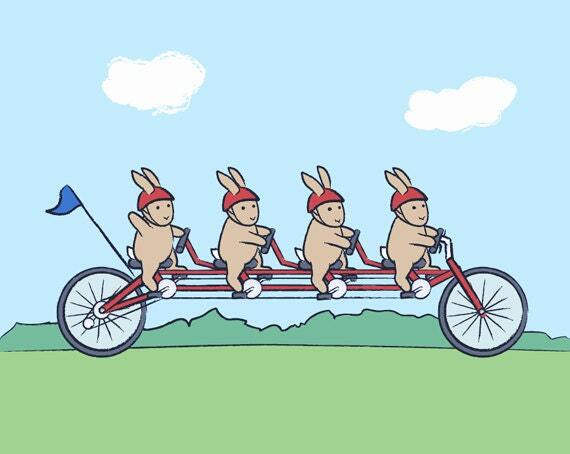 Brighten up a room with this adorable print featuring the little bunnies on their bicycle built for four. Perfect for a child's bedroom / nursery or for bunny lovers of all ages.